Confidently nourish baby with our gentle, easy-to-digest Stage 1 organic infant formula, if and when the time is right. 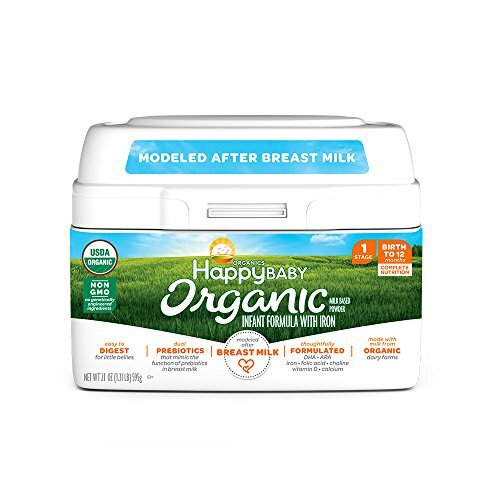 Modeled after breast milk’s unique composition and 100% nutritionally complete, Happy Baby Stage 1 Organic Infant Formula is thoughtfully made with organic lactose, dual prebiotics, and essential nutrients, including calcium, vitamin D, iron, DHA, ARA, folic acid, and choline. Here’s to a happy start! Before using an infant formula, ask the advice of your healthcare professional. Powdered infant formulas are not sterile and should not be fed to premature infants or infants who might have immune problems unless directed and supervised by your baby’s doctor.